We are continuously updating this page, so check back often. Join us for the great early season ski race. The Bolton Season Opener is a NENSA sanctioned citizens, zac and club race. Awards and raffle following the race with items from Ski Rack, Seventh Generation, homemade cranberry bread and much more. Kids race participants will receive cookies at the finish line. Registration: online at www.nensa.net $5 for BKL and J2, $20 before 12/9 and $25 day of race… Online reg closes Thursday December 9 5pm, day of race registration from 8am- closes 30 minutes prior to the start of each race. CLICK HERE to Go online to register before coming to Bolton on Saturday. We are proud to once again host this national learn to ski day designed for folks who have never tried Nordic skiing or snowshoeing before. Come to enjoy snow in the mountains, get some post-holiday exercise, and take advantage of the local opportunity for winter fun and exploration. This program is for people who have never tried Nordic skiing or snowshoeing before. 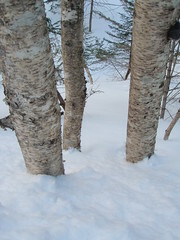 11:30-12:30 Snowshoe Tour and Winter Woods Exploration for Families. Please arrive early as programs begin promptly. January 30- 10th Annual NENSA Women’s Day | Enjoy a fun day on snow at Bolton Valley Nordic Center. Experience cross-country ski clinics for every level of skier-from first-timers to seasoned masters! In addition to top-notch instruction, there will be wax demonstrations, a fantastic prize drawing and a fabulous lunch at The Ponds at Bolton Valley. Clothing and equipment retailers will be on hand with items to try and buy. Ongoing: Wednesday nights March 9,16,23 and 30. Bolton Season Closer Races. Take advantage of great spring late afternoon daylight, spring time snow base and fun racing atmosphere. We will add more events to this listing as information is available. Please check back for updates and email if you have questions. Online reg closes Friday December 18 5pm, day of race registration from 8am- closes 30 minutes prior to the start of each race. exploration. This program is for people who have never tried Nordic skiing before. Please contact the Mansfield Nordic Club for details about this event. In partnership with the Catamount Trail Association we present this great day of backcountry clinics, lessons and tours. Join us for a day of celebrating backcountry skiing on some of the best terrain in Vermont. Learn from experienced instructors as they help you improve your telemark technique or teach you the basics of backcountry skiing with the help of video analysis. Manufacturers will be on hand with the latest backcountry skis and snowshoes to demo but participants should bring their own equipment as well. Lessons and tours will be happening throughout the day with a social gathering and backcountry film following the event. Cost is $35 for CTA members and $50 for non-members and includes instruction, trail pass, equipment demo followed by a cheese and beverage social/video review at 4:00pm. Lunch may be purchased at the deli or BVcafeteria. Pre-registration by January 20th is required and limited to 80 people. To Register: go to the CTA website- www.catamounttrail.org and download entry form or call the CTA office at 802-864-5794. This is going to be a fantastic workshop for women to learn more about backcountry skiing!! 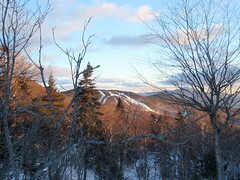 A backcountry ski tour and benefit event for the Vermont Youth Conservation Corps. Race Course: 16 Km from Trapp Family Touring Center to BV Touring Center on the Catamount Trail. 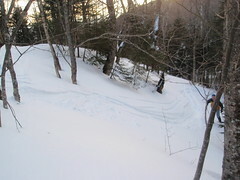 About 70% of the course is a non-groomed trail and conditions can vary tremendously due to changing weather. Participants will encounter a 2420 ft vertical climb from Nebraska Notch Rd to the highest elevation on the Catamount Trail and then descend 1820 vertical feet on a narrow trail to the Bolton Valley Touring Center. Participants must be well equipped to handle all types of weather and snow. A small backpack with food, water, and extra clothes is recommended. There are no aid stations on the course. Click here for more info and to see what last year’s racers wrote about this event. We are working hard to bring some great events to BV Nordic this season. Check back often for updated event info. Information: Parent and Spectator Parking in Lower Tennis court lot behind the Nordic Center. No dogs. Registration: Register beforehand at wintertrails.org. Please print and bring the registration form with you on Sunday. Information: We are hosting Winter Trails Day to provide those nearby who have no experience with Nordic skiing or snowshoeing the chance to learn the basics and try out great gear. Come to enjoy the snow up in the mountains, get some post-holiday exercise, and take advantage of our local opportunity for winter fun and exploration. The Nordic Center is providing free tickets, free lessons and free use of a portion of our available classic Nordic ski rentals and snowshoes to anyone who registers and comes in and says they have come in for Winter Trails Day. Registration starts at 9:00 a.m. and the festival starts at 10:00 a.m. The Festival is held in the spirit of one of Bolton Valley’s earliest owners and ski pioneers, Edward Bryant. A native New Yorker, Bryant purchased 10,000 acres from the American Brass Company in 1922. He and the Bolton Mountain Club would hike into the valley and up the mountain to earn their turns before any lifts, buildings or even the access road existed on the property. Bryant’s name lives on at Bolton Valley as the namesake of the Bryant Cabin. Racers must be well equipped to handle all types of weather and snow. A small backpack with food, water, and extra clothes is recommended. There are no aid stations on the course. Shuttle: Each individual will be responsible for race day car shuttle. You may go on the http://www.catamounttrail.org forum to team up with other individuals for a car-pooling shuttle. Give yourself 45 minutes each way from between Bolton Valley and Trapp Family Lodge. Entry Fee: Registration by February 25 $50 — Registration by February 27 $65. No race day registration. Entry fee includes post race meal with prizes for 3 individual male and female in the race category along with a raffle for all participants. Race entry limited to the first 100 to register. Ski and Snow Shoe Rentals: Call the Bolton Valley Nordic Center early to reserve your gear! Checkout www.boltonvalley.com for rental prices. 1 alpine skier, (or snowboarder or teleskier), 1 snowshoer, 1 xc skier. Race will be held in that order. 30 second staggered starts. For teams in need of snowshoes or xc skis, more details to come. Teams are NOT registered until they have PAID the nominal $30 registration fee (that’s only $10 per head) We can accept cash, CatScratch, or checks made out to UVM Outing Club. Please make sure all parts of registration form are filled out. Date: Saturday April 5, 2008 1PM — Registration opens at 10am- Upstairs in the base lodge. Open to first 100 entrants- so arrive early!! 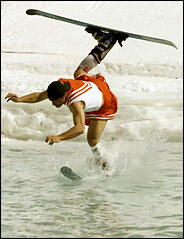 What: POND SKIMMING — Hawaiian STYLE. Get out those Hawaiian shirts, grass skirts and old skis/boards for a fun day. Where: at Bolton Valley — we are using the snow from the Terrain Park Jumps and Rollers to make the pond, so it will be located outside the Alpine Base Lodge. Date: Saturday March 8, 2008 — registration closes Friday March 6 at 5pm!!! RESULTS: Link here for full results! 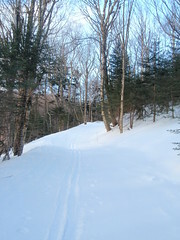 Race Course: Catamount Trail from Trapp Family Lodge, Stowe to Bolton Nordic Center, Bolton Valley. About 70% of the course is a non-groomed trail and conditions can vary tremendously due to changing weather. Participants will encounter a 2420 ft vertical climb from Nebraska Notch Rd to the highest elevation on the Catamount Trail and then decend 1820 vertical feet on a narrow trail to the Bolton Valley Touring Center. Price: $50 and this includes race entry, post race meal and raffle ticket. Post race lunch at the Bolton Nordic Center– Raffle for all racers and prizes to top 3 Men and top 3 Women. Race Course: Start up World Cup to 1st left/ down World Cup- Right on Broadway- Left on Pond Loop back to Stadium > change equipment and REPEAT!! What: Join the UVM Ski Team for Games and Activities — including an obstacle course, small terrain park, relay races and much more. Registration: Call the Nordic Center for information about registration or come Sunday morning to register. Description: A full day of snowshoe activities for the whole family. TSL Snowshoes will be here with Demo Snowshoes. Boys JV goes out 10 minutes after last Girls JV starter. Event: Bolton Season Opener — take advantage of great early snow.